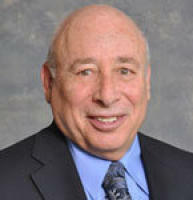 Ray Laser is the Senior Reverse Mortgage Specialist at First Rate Financial Group. Ray has over 30 years of experience in helping people make important financial decisions, and has successfully closed hundreds of mortgage loans. He is an active senior of retirement age and is familiar with the issues of seniors who could benefit from a reverse mortgage. Ray’s mission is to enhance the lives of seniors by providing financial security and independence. He prides himself on making his clients feel relaxed and comfortable about the loan process, and makes customer service and satisfaction his number one priority. Ray’s goal as a reverse mortgage loan officer is to assist each person professionally, ethically, and knowledgeably, explaining the positives as well as the negatives to help clients make a truly informed decision. “We start as friends and end as friends” is his goal on every transaction. To enhance the lives of seniors by providing financial security and independence. Welcome and thank you for visiting our site. Our goal is to make the loan process as simple and worry-free as possible. We pride ourselves in offering the highest level of customer service, and appreciate the opportunity to earn your business. By putting you first, we assure you a pleasurable transaction. In helping you or a relative with a reverse mortgage, we are going to educate you. We will explain not only the positives, but the negatives as well about the reverse mortgage. We will help you make an informed, know all the facts decision. When you make your decision to proceed or not, it will be for the RIGHT reason. And we will never pressure you one way or the other. In the long run, what’s best for you is best for us as well. We will also help arrange a meeting either in person or on the telephone, with a certified credit counselor, who will independently go over the program again and answer any questions that you may have. But here’s what separates us from everyone else: We’re going to make it simple for you. We have the ability to break down the program into easy to understand segments. And we do a great job of this, according to our clients. Ray Laser is an experienced mortgage loan professional who has been licensed in California since 1986 and has closed hundreds of mortgage loans. He is adept at simplifying Reverse Mortgage programs into a process that’s easy to understand and implement – so that borrowers, their families and their advisors understand all the pros and cons and can make an informed decision that is right for them. Ray Laser takes a sincere personal interest in making sure reverse mortgages are understandable and simple for each client he has. That’s his commitment to you. And unfortunately it’s something that most people in our business don’t do. And I know if I was looking to do it for my own parents, the thing I’d be most concerned about would be putting them in the hands of someone who appreciates the importance of patience as well as the importance of making our parents feel comfortable with what they are doing. That’s every bit as important as making sure that the decision itself makes sense. From experience, Ray’s come to appreciate that giving his clients financial peace of mind is more than just providing the money. If someone puts their trust in Ray and his company they’re going to make absolutely sure their experience is great. And customer service looks pretty simple to us: talk to your customers when they call and keep them updated on a regular basis. It’s this kind of dedication that has created the great customer satisfaction and testimonials we’re proud of. 1. If I get a Reverse Mortgage, that means the bank holds title to my home. False. Title does not get transferred into the bank’s name. Throughout the life of the loan, you own the home. 2. If I decide to sell my home, the bank will make me pay back the loan and collect a portion of the appreciation. False. The lender will only collect the portion that is due to them. If the loan balance is larger than the home value, the lender will only collect the proceeds from the sale. You can never owe more than the home is worth. 3. The reverse mortgage requires that I make monthly payments. 4. Only the “cash poor” or desperate senior citizens can benefit from the reverse mortgage. False. Even though some seniors may have a greater need than others for the cash or monthly income, the Reverse Mortgage can also be an excellent financial or estate planning tool. 5. 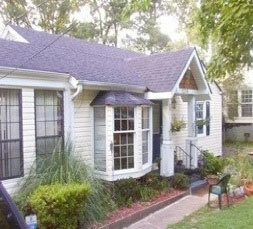 The lender can take my home away if I outlive the loan. False. You do not need to repay the loan as long as you or one of the borrowers continues to live in the house and keeps the taxes and insurance current. You can never owe more than your home’s value.